For every business, but particularly those in the food and drink sector, content for websites, newsletters, social media, promotions and print advertising is in continual demand. 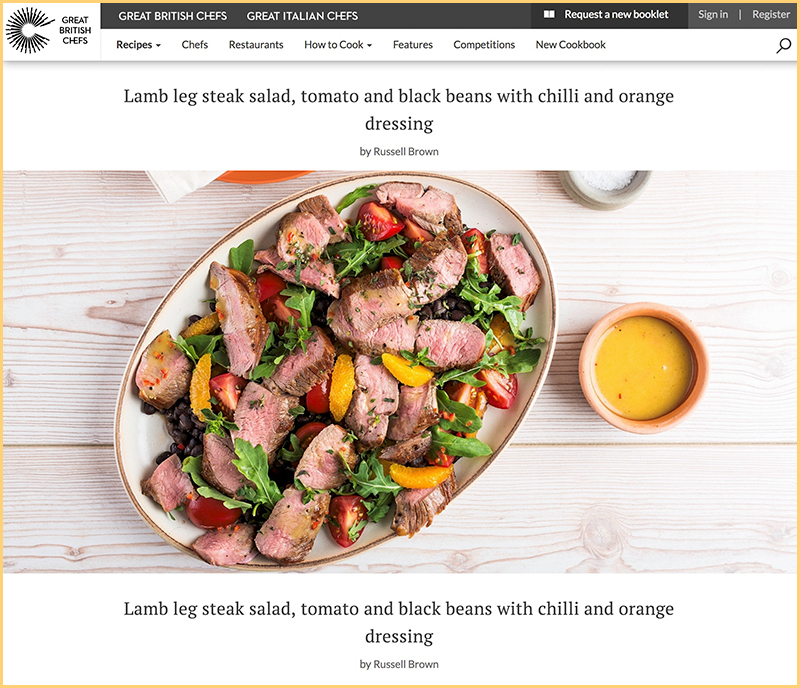 At Creative about Cuisine we can provide you with an end to end service that might include recipe development and testing or editorial right through to final images ready to load onto your website. With Russell’s background as a chef, you can be confident of recipes that work, are targeted at your market and will have a high degree of flair. Russell’s writing is clear and informative but above all exhibits his extensive knowledge and passion for all things food related. Add to this superb photography and you have a service that will deliver useful and engaging high quality content. Russell has been writing for a variety of local and national publications for a number of years now. He has covered industry events, written chef profiles, business pieces, ingredient pieces, travel items and recipe features. Clients include The Caterer magazine, Great British Chefs, The Staff Canteen, Fresh Montgomery, Just About Dorset and Seasoned by Chefs. He has also been working on Well Seasoned, his first book. The ability to supply studio or location-based photography to support his articles is an added benefit for editors. A recent commission was for quick lamb recipes for a Great British Chefs promotion for ‘Tasty, easy lamb’. 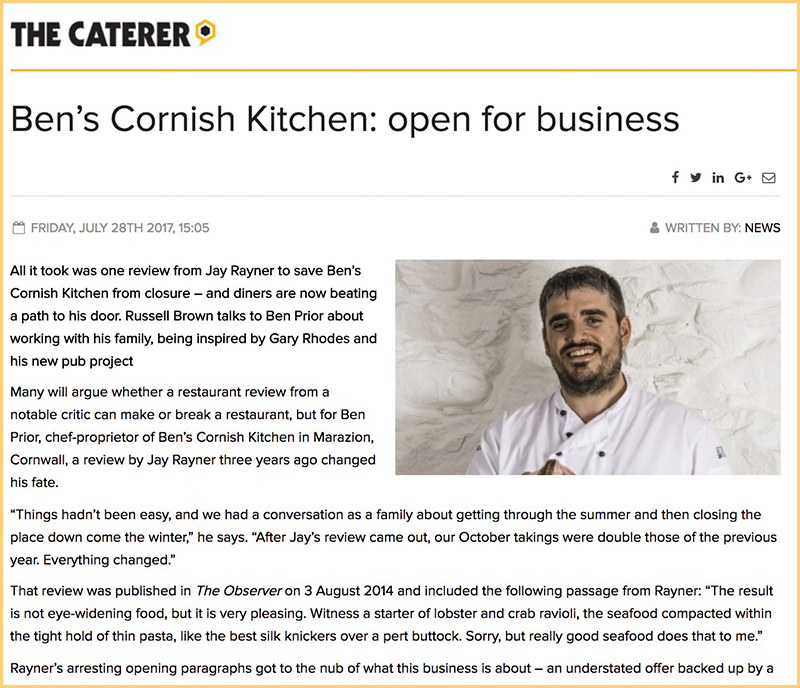 A recent column from The Caterer profiling Ben’s Cornish Kitchen and The Fire Engine Inn, Marazion. Registered in England. Company reg. no. 7908271.